Need a fun treat idea for Easter? 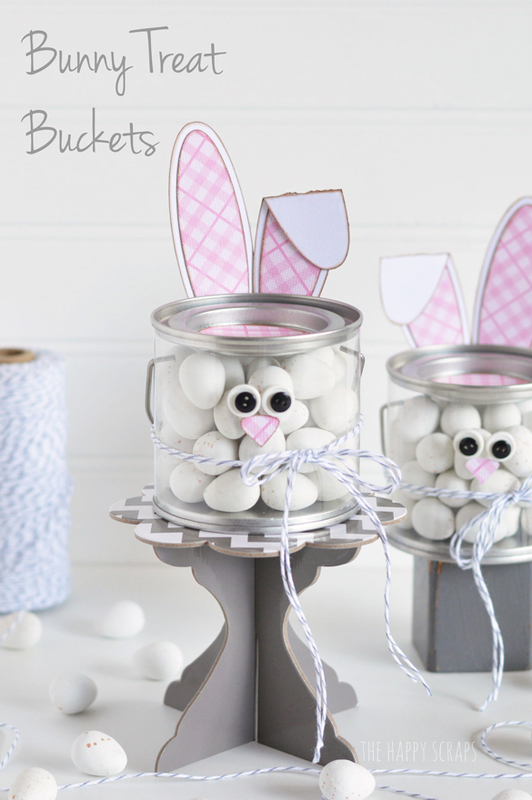 Make some of these cute little Bunny Treat Buckets! I shared the full tutorial over on the Core’dinations blog. Head over there to learn how to make them. These would be perfect on the Easter dinner table, or as little favors to send home with guests. These are so cute, I think I am going to try to adapt the idea slightly for a toddler tea party, using some different animals. Great project thank you. Happy Easter!